Noeleen Loughran gave away everything she owned so she could move to Africa and minister to suffering souls. 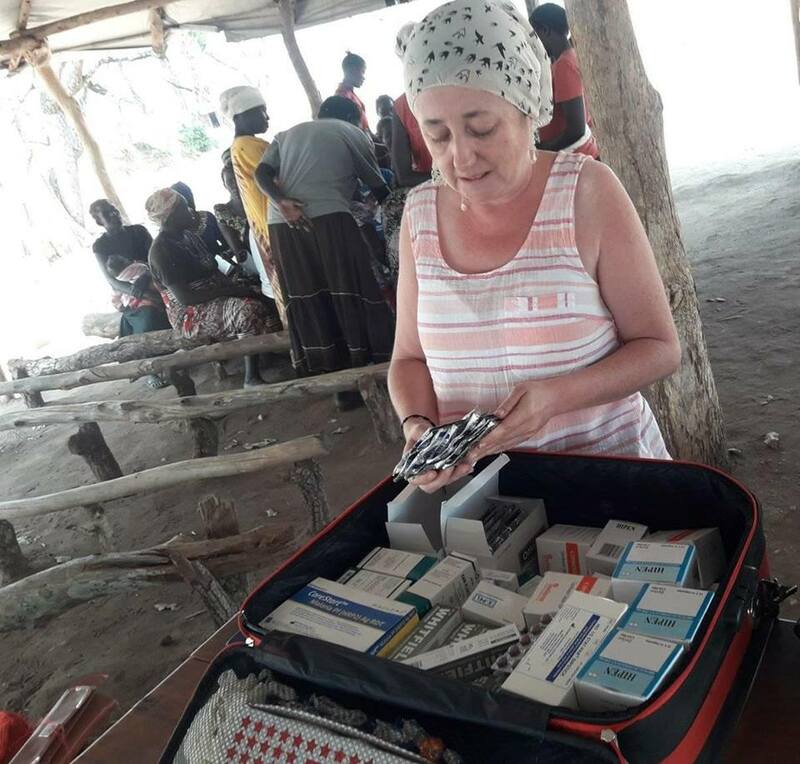 Every day the missionary nurse undertakes a one-hour journey to serve nearly 300,000 people in Bidi Bidi, the world’s largest refugee camp. As she makes her rounds throughout the camp, Noeleen is seen carrying her suitcase that is filled with medicine, which can treat up to 400 refugees who are in desperate need of aid. But with so many ill, Noeleen simply cannot attend to them all without your help. Medicines are also extremely difficult to find, and most of the refugees cannot afford them or are too sick to look for medicines. Noeleen is ready to serve, but she needs you. Today, on Giving Tuesday, we ask that you join us on this global day of giving back and help us bring about real change in the world’s largest refugee camp. Please support our Giving Tuesday goal of raising $4,200 in 24 hours and help us keep Noeleen’s suitcase full of medicine for an entire month. “The refugees pray each Sunday for all the people who support them through donations and help them stay alive. They also ask for those who donate not to forget them,” says Noeleen. Please send your Giving Tuesday gifts and help keep Noeleen’s suitcase full of medicine. Every donation counts!